SmokeBomb Entertainment, a WIMTACH industry partner is developing a new Virtual Reality game named “SLASHER”. On July 19th 2016, SmokeBomb conducted a demo for the game at WIMTACH. 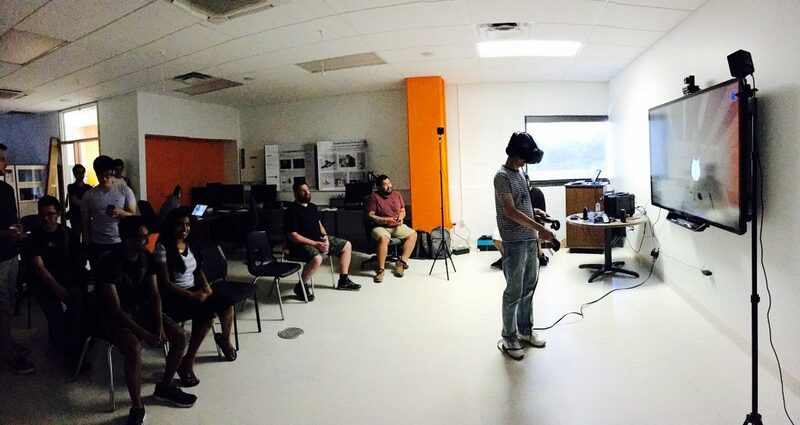 Centennial students were invited to test out the new game using the HTC Vive VR headset. The students had a first-hand experience of the immersive-ness of VR games and SmokeBomb gathered valuable feedback from the participants. The collected user input will be used to improve the game in the next releases.